Classes will meet Wednesdays from 1-2 pm. Cost for 4 week session is $80. Payments can be made via PayPal. Please email instructor directly to register or with any questions you have. 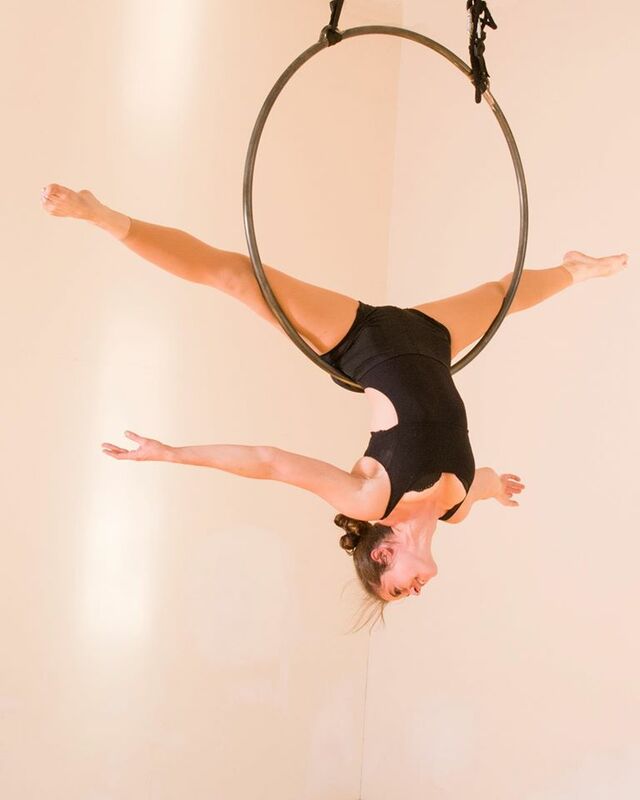 This 4 week session is for continuing lyra students and experienced aerialists. We’ll learn fundamental and intermediate level postures along with transitions to safely build a strong foundation in aerial arts. Class will focus will be on sequencing and choreographing longer phrases. Each class will include strength and flexibility exercises specific to aerial training and time to work on new shapes, spins, and Lyra choreography. 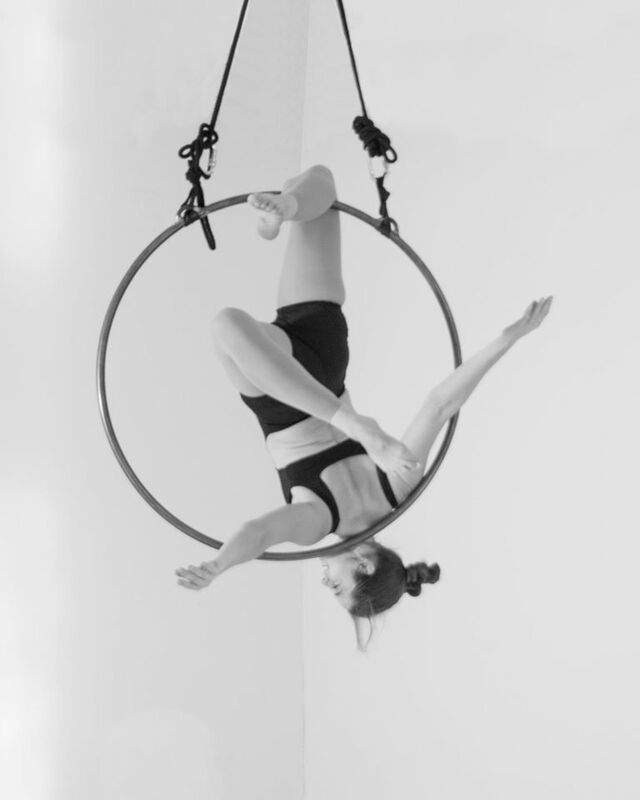 This class is designed for those with previous aerial dance experience and assumes students are able invert in the air and hang by hands for 30 seconds. Please contact instructor for additional information on class placement. Dress comfortably in athletic clothing that covers the backs of your knees. Class size is limited to ensures instructor can individualize curriculum.